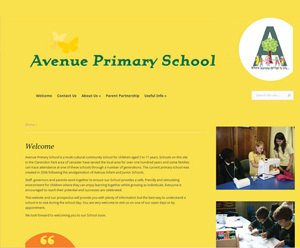 Avenue Primary school website. We made two successive websites for Avenue Primary school. The first one was a static website and the second was a custom WordPress allowing staff to update pictures and text as and when they wanted to.